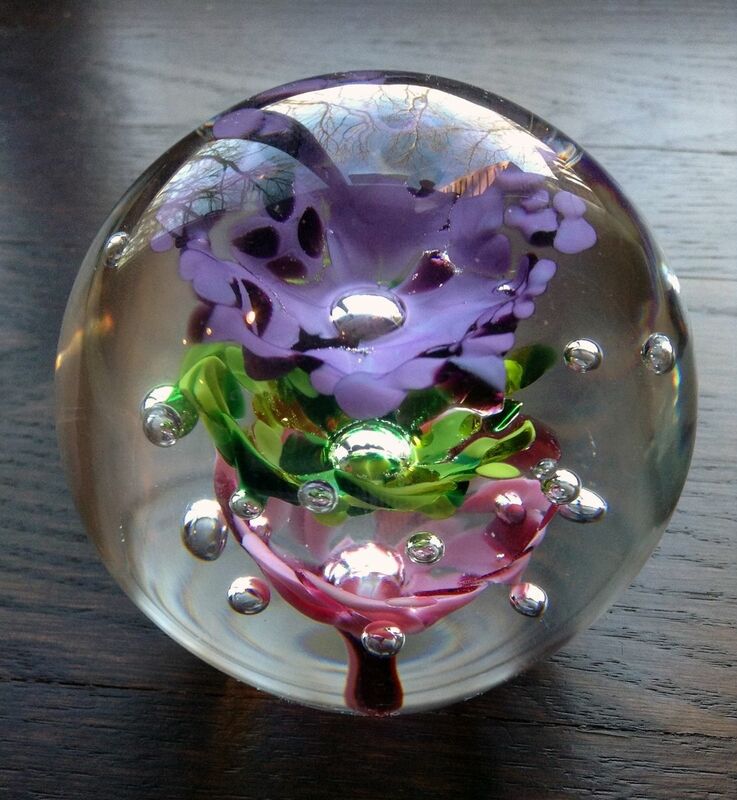 This colorful glass paperweight was custom ordered and handmade for a holiday gift. 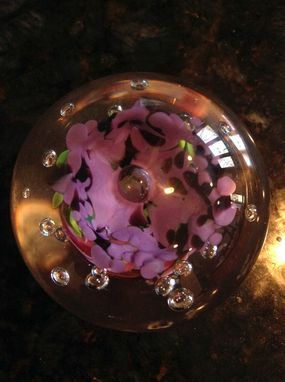 The paperweight was hot sculpted with colorful glass floral shapes and bubble patterns suspended as the inside design. The outer layer of the paperweight has a smooth, clear glass finish. I couldn't be happier with the gorgeous paperweight Holly created! Every step of the way was handled flawlessly. Can't wait to do an other project with you!